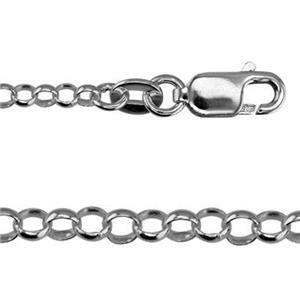 Silver rolo chains are classy and sophisticated. This rollo has a luxe look at an affordable price. A tremendous value for the money. The 2.3mm wide links are broad enough to catch plenty of light and attention. This is not a chain that fades to the background. Choose this one when you want your chain to stand out.